I stacked all that! This afternoon. A cord of wood for my dad and Bonnie. That’s two rows deep. 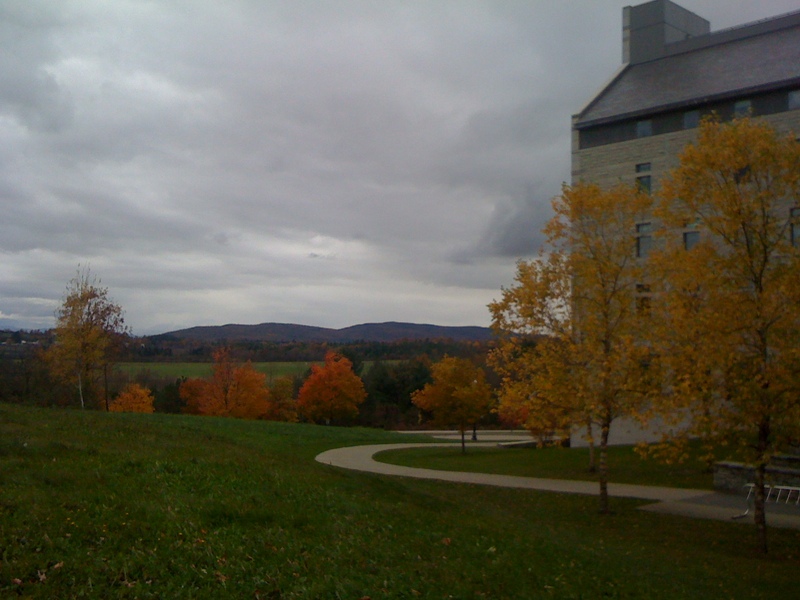 I wanted so badly to be out in the fresh fall air doing some kind of manual labor. When my dad pointed to the large stack of wood sitting in their open-air garage I knew it was just the thing to keep my hands and mind occupied for a few hours this afternoon. 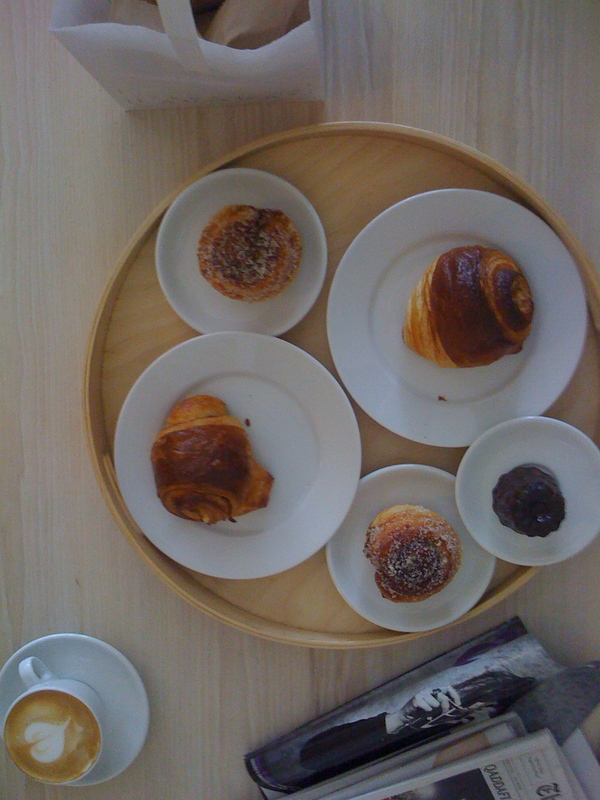 Especially since I had just come from a leisurely breakfast at Vergennes Laundry with Kate and Arianna where we tried one of everything: pain au chocolat, plain croissant, canelé, morning bun with cinnamon and sugar, pain au raisin, americanos. 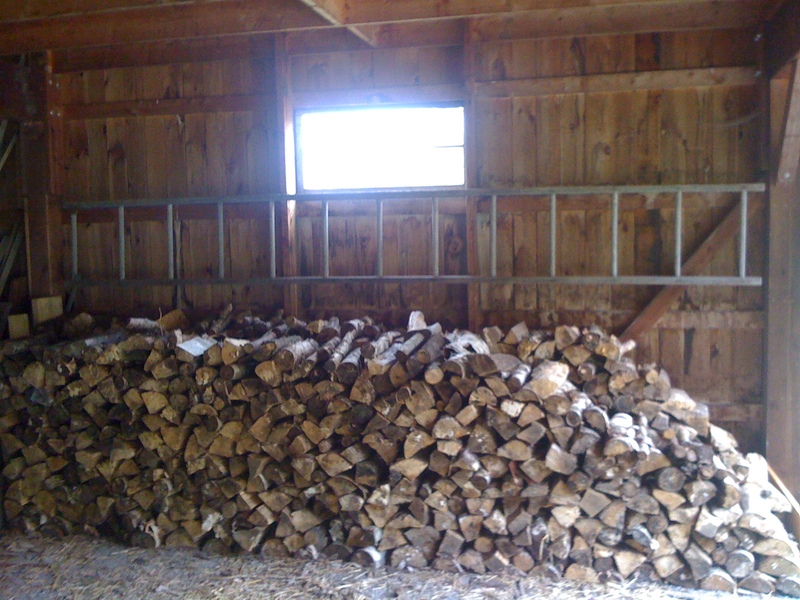 Back when I was in high school, when we lived in East Middlebury, VT, we had to stack the wood in the fall because a wood stove was our only source of heat. We would go through at least two cords in a winter, maybe more, and I remember it took all afternoon for two or three of us to get the job done. 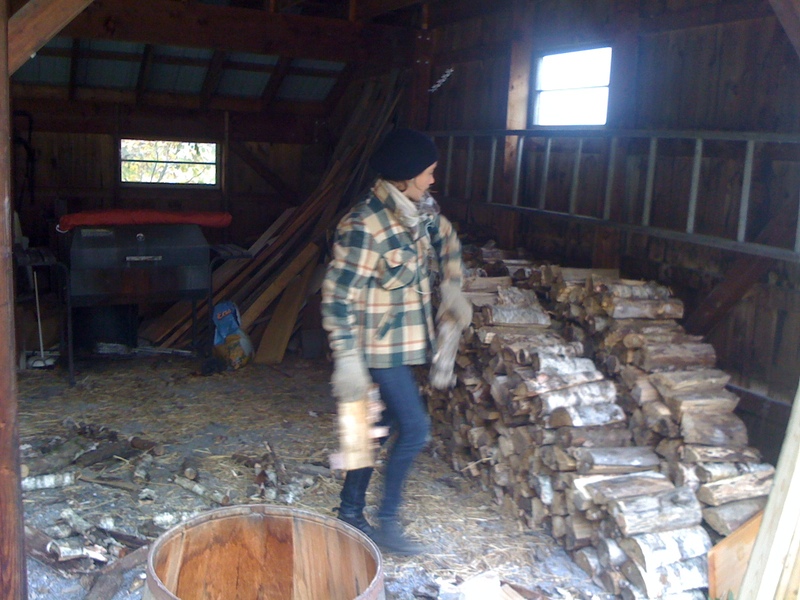 The wood is from my friend Kate and Sebastian’s North Branch Farm up in Ripton. But this pile didn’t look so big. My dad kept saying I could stop whenever I got tired but I was determined to finish. 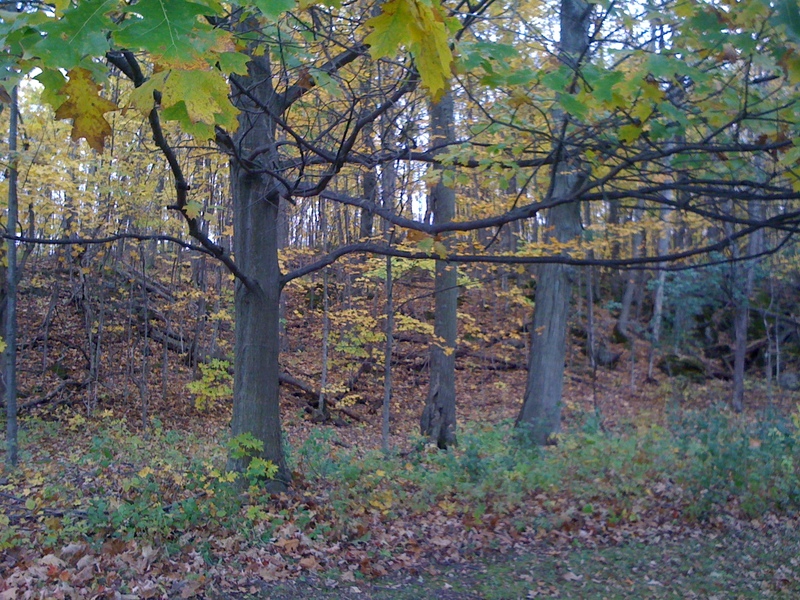 I was having a blast, seeing field mice scatter about, bugs and spiders of all shapes and sizes, and even some mushrooms on the wood. You can see in the photo below I’m wearing Bonnie’s old flannel jacket she got for free some thirty-odd years ago when she cut down wood for a living. 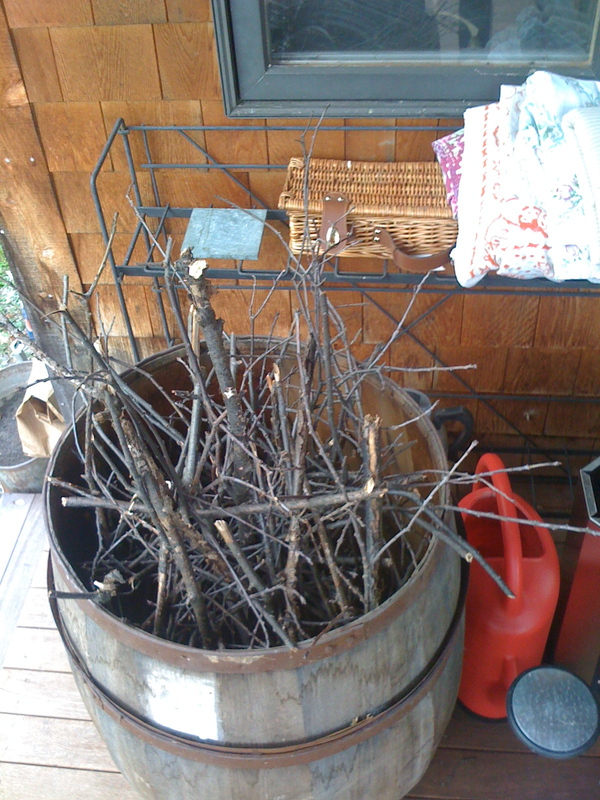 When I finished I gathered sticks for kindling in the woods behind the house and shoved them into a large oak barrel on the back porch. The drier the better. 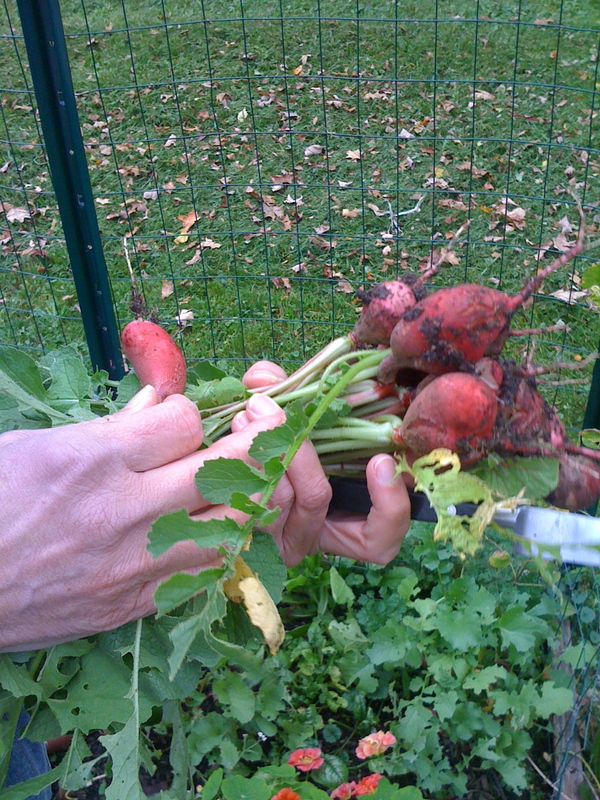 For dinner Bonnie picked French Breakfast radishes from her garden and made a nice crunchy side salad with them. Our breakfast at Vergennes Laundry. 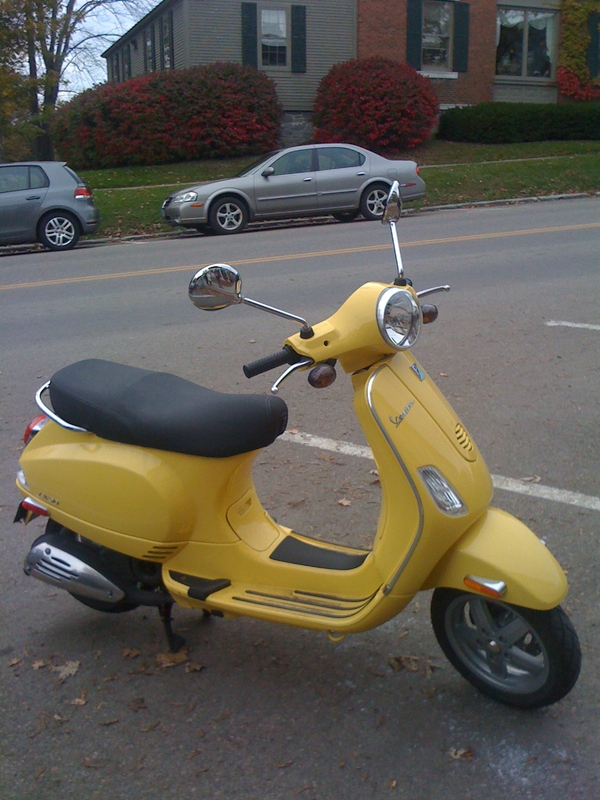 A beautiful yellow Vespa outside the bakery. 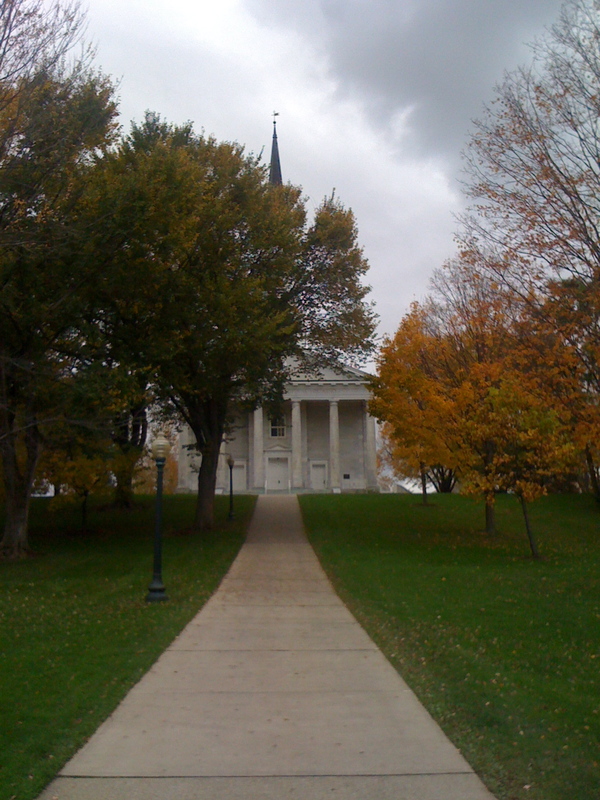 And Middlebury College yesterday afternoon.